Dealu Mare is the wine-producing region that corresponds almost entirely to the Piemonte region, which makes the transition between Curvature Carpathians – Sub Carpathians and the eastern Romanian Plain. The vineyard has deep roots in the history of the region which is called the “ land of red wines”. The climate is continental, with average annual sunlight of 2200 hours, average annual temperature between 9.5-10.5°C and the average rainfall of 500-600 mm. The soils are brown-reddish forest with a high content of iron, which is very favourable for red grape varieties. 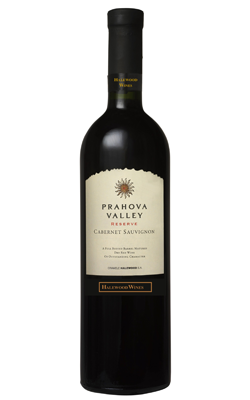 Ruby-red in colour, this dry Cabernet Sauvignon exudes aromas of tabbaco, black pepper and brown oak. The winemaking process was carefully done, allowing the extraction and conservation of the primary flavours. Ideal with grilled dishes, lamb with thyme, pasta or cheese.